Purchase a membership in CVAAS to have access to all our website content! Our site is under construction. Thank you for your patience. You can find out more about our upcoming events by visiting us on our MeetUp Page and on our Facebook Page. The last two months haven’t been very kind to the United States. Multiple hurricanes in the South, and fires in the East. We all know we need to help, but it is easy to be paralyzed into inaction by the sheer enormity of the damage. 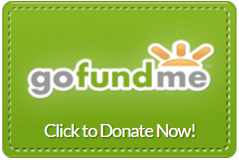 If you would like to help out, consider a donation to the Foundation Beyond Belief. This is a worthy organization that has been assisting in recent disaster recovery. As a new Nonprofit, CVAAS is working hard to catch up with other service organizations. 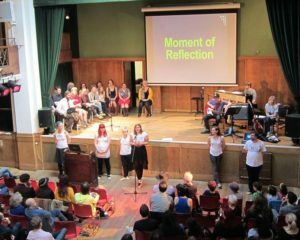 Until we are able to make major contributions on our own, we suggest that our membership and friends contribute directly to Foundation Beyond Belief, or volunteer to be part of the Humanist Service Corps, supported by FBB. As much as you can comfortably give. We understand that a certain presidential billionaire gave .01% of his net worth. $5 to $10 would for most people match that comparative donation. The Fresno Bee published the following article to “Valley Voices”. CVAAS president Mark Boyd is the author, with input from the CVAAS board and members. You may comment on this article at the CVAAS Facebook Page located here. On Monday, September 11th, 2017, the entire faculty and students (over 700 people) of Yosemite High School gathered for a school scheduled, mandatory assembly inside Yosemite High School’s Badger Stadium to remember the 9/11 terrorist attacks in a “Patriot Day Memorial,” a community event sponsored by Sierra Tel. Retired Navy Chaplain and Roman Catholic priest Richard Lamontagne gave both a prayer and a benediction. This event is not unprecedented. Last year’s Patriot’s Day repeated the mandatory school assembly and Lamontage’s prayer and benediction. Why is this important? Because on both occasions, this event was unconstitutional and unlawful, as determined by numerous past Supreme Court decisions. This was acknowledged by Yosemite High School Principal Regina Carr and by Yosemite USD Superintendent Cecelia Greenberg in an email to parents. It is gratifying to see this quick action, and both seem to be taking steps to ensure this unconstitutional promotion of religion doesn’t happen again. Secular organizations such as the Central Valley Alliance of Atheists and Skeptics (CVAAS) support the right of any student to pray in school, carry and read their religious books, or worship as they need, providing the school agrees it is not disruptive to the educational mission. However, everything changes when public schools act in ways that endorse religion. In simple terms, when it comes to religion Congress shall not play favorites. The Fourteenth Amendment to the US Constitution guarantees that all citizens of every state have rights equal to all other citizens, including equal justice under the law. Under the Due Process portion of the Fourteenth Amendment, the Supreme Court has ruled that the Bill of Rights applies to state and local governments. Simply stated, under Due Process, neither states nor local governments shall play favorites in regard to religion. To be clear, Yosemite High School is administered by state and district governments. 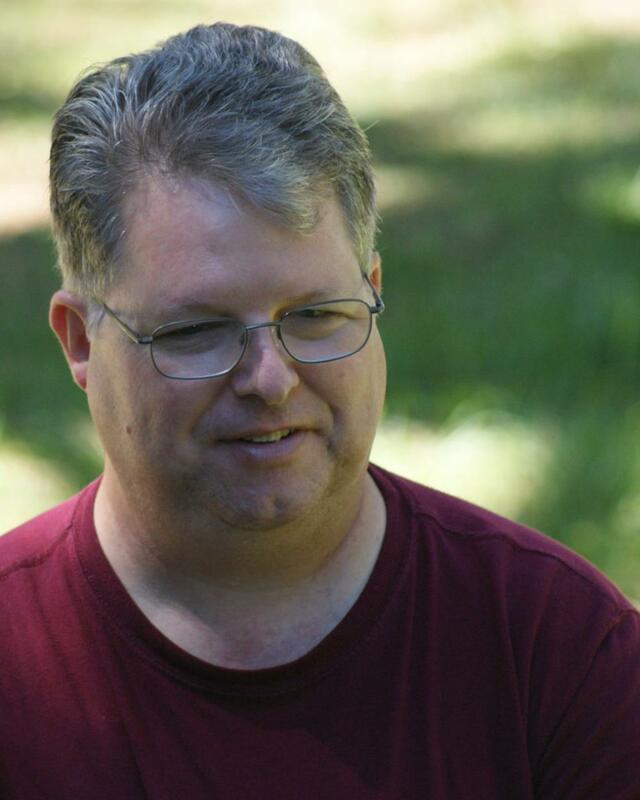 Mark Boyd is the cofounder and current president of the Central Valley Alliance of Atheists and Skeptics. Such viewpoints denigrate both religious and nonreligious beliefs. Secular organizations are of course concerned about First Amendment violations. However, minority religions and many mainstream religious organizations are also extremely concerned. For example, the Southern Baptist Convention created a 1947 resolution that condemned state involvement in religion, especially in schools. SBC did this because they believed all faiths and creeds should be treated alike, without government entanglement. The Supreme Court has identified these First Amendment violations and ruled that schools may not coerce or force students to recite the Pledge of Allegiance, and has also ruled that school prayers are the promotion of one religion over others. Official school prayer was ruled to be a violation even if the prayer is vaguely worded, if the students are not coerced to participate, or if that prayer is delivered by someone who is neither faculty nor student. Do you think your child must listen to prayer from a religion that marginalizes your own religion? Would you support school prayer to a deity you do not worship? Would you want your child to have to hide their religious beliefs in an environment that celebrates one religion over all others? Are you part of a majority religion and not bothered that children in minority religions must “pretend belief” to avoid bullying and harassment? Public schools should not be in the business of sorting children by religious beliefs. No child should be forced to choose between acting or not acting on a religious belief in front of their peers. No child should have to hide their religious beliefs while being required to endure religious indoctrination in the form of an invocation. Public schools must avoid religion entirely so that you may guide your child’s religious upbringing without religious interference. 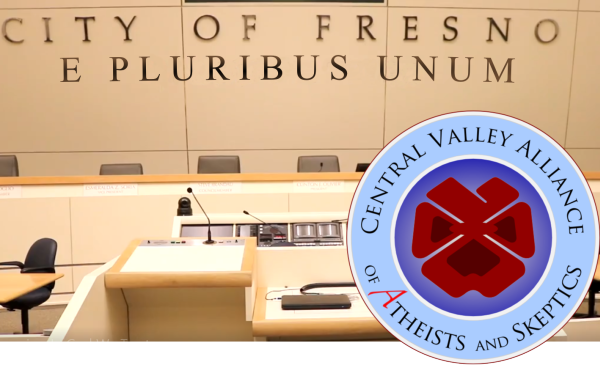 The Central Valley Alliance of Atheists and Skeptics is a nonprofit corporation and the largest secular organization in the San Joaquin Valley. As a member of ValleyCoR.org, we have sister organizations located in Fresno, Bakersfield, and Tulare. You are invited to become a member of CVAAS or become part of our network. The Heretic’s Barbecue is a speaker’s event combined with great barbecue and fun activities and conversation. This will be the tenth year that CVAAS has put on this event. Every year we’ve outdone ourselves, and this year is no exception! This year join us as we explore mythology, both modern and historic. Prepare to be skeptical of mythological claims, urban legends, and conspiracy theories. Enjoy the camaraderie of the secular community and their friends and supporters! The Barbecue will be catered by the wonderful Maw n’ Paw Barbecue in Clovis. A vegetarian option will also be available. Ticket Prices: Adults: $19.00. Free for children under 12. Get $5.00 off with membership. Tickets: Get them from the CVAAS store! Click here for even MORE information! Host an information or merchandise table at our event! Carrier has engaged in several formal public debates, both online and in person. His debate opponents have included philosopher Christian Apologist William Lane Craig, New Testament scholar Michael R. Licona, and New Testament scholar and author Craig A. Evans. Dr. Carrier has appeared on Lee Strobel’s talk show “Faith Under Fire” in a debate with William Lane Craig. “Slenderman” is a modern urban legend created in 2009. Since its creation, Slenderman has appeared in many works of fiction and in 2014 inspired a moral panic due to the Slenderman-related attempted murder of a 12-year-old by her classmates. 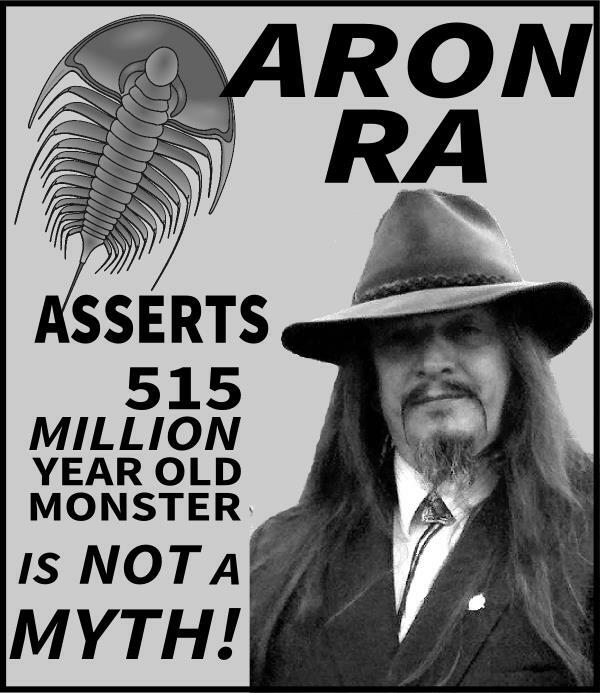 Aron Ra, author of “Foundational Falsehoods of Creationism.” Ra is the former president of Atheist Alliance of America and former Texas state director of the American Atheists. He is currently running for the office of Texas State Senate. Bill Zuersher, author of “Seeing Through Christianity.” Zuersher is a teacher, writer, and author. He received his Master’s degree from Yale University. Also appearing is the singer, songwriter, and bassist Joey Fabian. Fabian has a long musical career that includes both teaching and running his own production studio. CVAAS uses Joey’s rendition of “It Ain’t Necessarily So” as our podcast music. Besides music, Joey’s interests include physics, cosmology, and cooking. 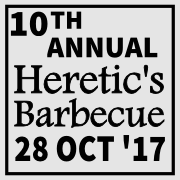 Merchants and organizations that would like to appear in this secular and skeptical venue are invited to host their own table at the Heretic’s Barbecue. Merchants who wish to sell their own goods must have a valid Clovis business license. Table hosting is $40 per table and comes with 2 chairs and one complimentary ticket for the Heretic’s Barbecue. So what’s your favorite urban legend? What’s a great myth that keeps coming back over and over again? Let’s talk about it over some great food at a great event! On September 11th, 2017, the faculty and more than 700 students of Yosemite High School gathered inside Yosemite High School’s Badger Stadium to remember the 9/11 terrorist attacks in a “Patriot Day memorial”. Retired Navy Chaplain Richard Lamontagne gave both a prayer and a benediction. And by doing so, Yosemite High School broke the law. It is gratifying to see Yosemite High School acknowledging this error, and that it should not occur in the future. The answer is, it’s not that simple. CVAAS proudly supports the right of any individual student to pray in school as they feel they need. We support the right of students to take religious texts to school, whether it is a Bible, a Koran, the Bhagavad Gita, the Book of Mormon, or whatever holy text is deemed necessary by the student. We expect public schools to allow all freedom of worship that is not disruptive to the school or a distraction to the class or a constitutional violation. We disagree with those public schools that break the law as laid out by the Supreme Court in accordance with the United States Constitution. The Fourteenth Amendment to the US Constitution guarantees that all citizens of every state have rights equal to all other citizens. Including the equality of justice under the law. Under the Due Process portion of the Fourteenth Amendment, the Supreme Court has ruled that much of the Bill of Rights apply to state and local governments. Again, in simple terms, when it comes to religion states and local governments shall not play favorites. In the past, different Christian congregations saw the separation of religion and government as a good thing. For example, the Southern Baptists were worried that Catholics were too pervasive in government, and in 1947 the Southern Baptist Convention created a resolution that state and church must be kept separate – especially in public schools – presumably so that Catholic schools would not receive state money. The SBC resolution stated that the government should treat all faiths and creeds equally. Public schools in the USA are funded by, and/or run by a governmental entity. This is primarily a state entity unless the school also receives federal funding, in which case some federal authority is applied. Even private schools that receive federal funding subject themselves to federal jurisdiction to some extent. CVAAS, along with other secular and religious organizations, point out that public schools are bound by the First Amendment to not “establish” one religion over any other. That all students must be treated justly, equally. By law, one religious denomination may not promote its beliefs to the student population to the exclusion of other religious denominations. In championing the US Constitution, in demanding equality of justice under the law, CVAAS is not only protecting the rights of secular students, but the rights of minority religious students. The rights we share are a very big deal. They are worth getting upset over. This has not always been the case in America. In 1928 the state of Pennsylvania created a law mandating that public schools read at least 10 verses from the Bible each day. Students were usually required to read these verses, no matter what religion the student was. Four other states had similar laws, and 25 states had laws that allowed schools to “optionally” read the bible. Schools that chose to read the bible could require students to do the reading. Again, the child’s religion was often not considered. In the 1930’s West Virginia mandated compulsory reciting the Pledge of Allegiance. Members of Jehovah’s Witnesses objected on religious grounds, and those students were expelled from school. It wasn’t until 1943 that the Supreme Court ruled that schools may not coerce or force students to recite the Pledge. In 1962 the Supreme Court ruled that it was unconstitutional for schools to compose official school prayers and require or encourage its recitation in school. The court ruled that school prayer is a religious activity that promoted one religious belief over another, and was therefore forbidden by the Constitution. The court ruled this to be a violation even if the promotion of religious belief was not coercive, even if the prayer is vaguely worded. It doesn’t matter if a student is allowed to sit or leave the audience. SCOTUS ruled that even then this is a violation of the First Amendment. By supporting the First Amendment, CVAAS is supporting the right of all citizens to worship as they like – or not – without fear of coercion. By pointing out violations of the Constitution by public schools, CVAAS is doing its part to protect our children from undue influence. To be treated equally under the law is our most basic right. Take a moment to consider. How would you respond to your child coming home and telling you that they prayed in a religion that you do not believe in? Would you be pleased if your child recited a prayer to a deity you do not worship? Wouldn’t it be better if the public schools stayed away from religion entirely, and allowed YOU to oversee your child’s religious upbringing? That is what CVAAS wants too. SkeptiCal is a one-day mini-con with speakers and breakout sessions. This year it will be held at the Shattuck Hotel Plaza in Berkeley California. Tickets are $45 until May 15, when they will increase to $50. Check-in opens at 8:30 and the conference starts at 9 am. See the SkeptiCal website for location and registration. CVAAS will be tabling at SkeptiCal again this year. We did so for the first time last year and had a blast! Last year Speakers Steve Silberman and Carolyn Porco (and everyone else) just blew us away! And finally, Luigi Anzivino, who holds a doctorate in Behavioral Neuroscience, will use magic and slight of hand to help explain our understanding of the science behind perception. CVAAS will be convoying to SkeptiCal on Sunday Morning. If you would like to be part of that, RSVP at our Meetup site. It tells the Secretary of the Treasury to stop penalizing any person, “house of worship,” or other religious organization when they speak about, “…moral or political issues from a religious perspective….” And it specifically says that penalties, or, “adverse action” means that no tax or tax penalties can be applied to 501(c)(3) nonprofits. It makes it clear that the Secretary of the Treasury or those offices he manages can’t punish such speech by, “tax deduction, exemption, credit or benefit.” This would seem to indicate that Federal grants can’t be withheld either. As an aside, the Secretary of the Treasury is part of Trump’s cabinet and is also the boss of the Commissioner of Internal Revenue – who manages the Internal Revenue Service. It provides more protections to businesses with religious objections to the ACA’s mandate to provide coverage for contraceptives. “More” protections, because even under Obama, religious objections have made this mandate little more than a strong suggestion. Churches, religious organizations, Mosques, Satan worshippers, this thumb’s for YOU! In a nutshell, churches no longer have to stay quiet about who they endorse. As a church, they are also not required to show where they get their money. Therefore, it seems lawful that the Pope in Rome could send a couple of billion dollars to the Catholic Church here in America, where it could be used to dramatically influence the next election. And the local church wouldn’t have to tell anyone where they got all that money. Neither would the local Mosque. How much money could Saudi Arabia funnel into our election systems? The First Amendment of the United States says that the government can’t make a law that establishes a religion, or prohibits the free exercise of religion. The equal protection clause of the 14th Amendment was used by Justice Haggerty to apply the First Amendment to non-religion. In other words, in America, religious beliefs and practices are protected, even if those include a non-belief in deities, and include regular secular services. And now Trump has thrown a spanner into the works. Trump’s order would seem to allow atheist nonreligious groups like Sunday Assembly to – under the same rules as a church – acquire money and use that to endorse potential candidates. 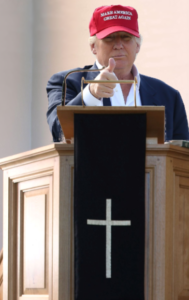 If Trump’s executive order allows electioneering by religious nonprofit organizations that are NOT churches, then the 14th Amendment might be used to extend this to ALL 501(c)(3) organizations. After all, it is only fair that the government treat ALL Americans equally. 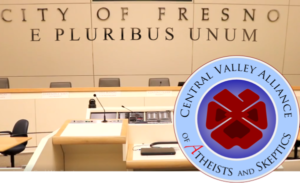 The Central Valley Alliance of Atheists and Skeptics is very interested to see how this might affect secular individuals and organizations. For example, several CVAAS members are ordained ministers. In California, all it takes a few dollars and 15 minutes to become ordained. And as John Oliver showed us, it is so easy to start a church. Much easier than forming a nonprofit organization. Sunday Assembly isn’t the only way to go. Religious people have formed many different types of nonprofit organization. With the Constitution on the side of atheism, atheists and other secular groups should be able to have the same advantages. If you wish to become involved, please check out those secular organizations that legally lobby our government. The Secular Coalition for America is one of them. 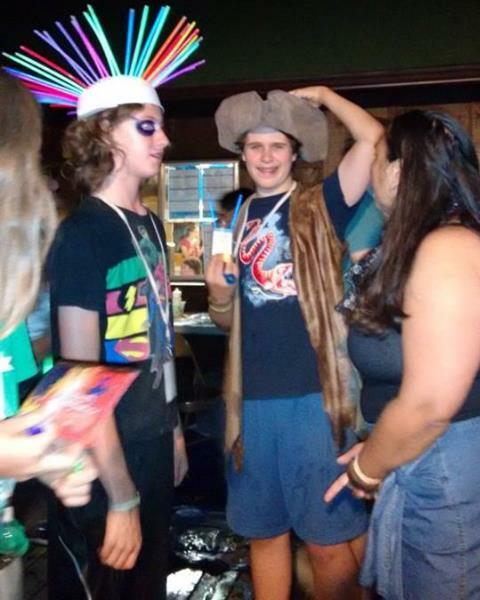 In 2011 I worked for Camp Quest as a Program Director. It was in the middle of July in California, and there were about a hundred kids in Camp Quest that year. What was I thinking? It was a wonderful experience that I wouldn’t trade for anything! Chris Lindstrom was the Camp Director that year, and her enthusiasm, joy, and energy were infectious. Chris has challenged the Central Valley Coalition of Reason to raise $200 to sponsor a child to Camp Quest. I’ve been spending a lot of time going to American Camp Association training over the few years, learning about best practices, safety procedures, and state regulations. 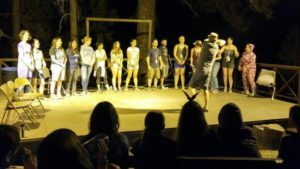 One of my colleagues – a retired camp director from a Catholic camp – mentioned that she grew up in a “skills” based camp but that she now ran a “values” camp. 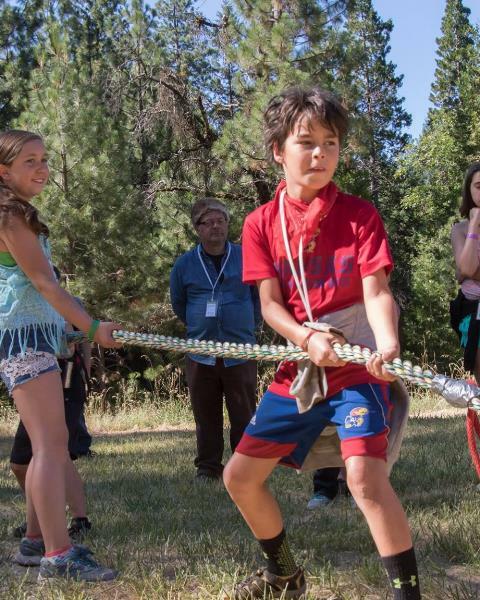 Apparently, skills based camps mostly focused on hands-on skills: survival skills, knot tying, guitar playing, archery, ropes courses where the word of the day is always about gaining competence in a given skill. In the values camp world, it’s about overarching values – in her case – Catholic values. Our head of staffing told me that she thought our camp was a hybrid. We DO teach skills. We have some Freethought activities specifically geared to science skills. One of our activities this year is all about the magic of magnets and that even the earth itself is a giant magnet. We also have elective activities where staff give hands-on training in things near and dear to their hearts like songwriting, rocketry, survival skills, yoga, tai chi and more. But it’s not just skills in isolation – it’s skills plus values. And our values are rooted in humanism: compassion for others, drive to make the world a better place, evidence-based decision making. Our activities are followed by discussions. How can these skills be used in the service of others? How does this knowledge affect our view of the wider world? I think Camp Quest West has a unique and valuable product. We can not only help kids grow up, we can help them develop the kind of character to build the world we yearn to live in. Not all families have the same financial resources. Donations to Camp Quest West are used to support our tiered pricing structure and camperships. Chris has set up a donation challenge for us on the Camp Quest website. It is for everyone who is part of the Central Valley Coalition of Reason, and for our friends and supporters. Just click on this button to go there. 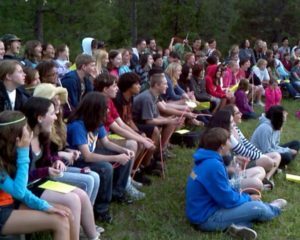 Just a few dollars from everyone will be enough to ensure a kid gets to go to a full week of summer camp, a fun place where they can also learn to apply critical thinking! 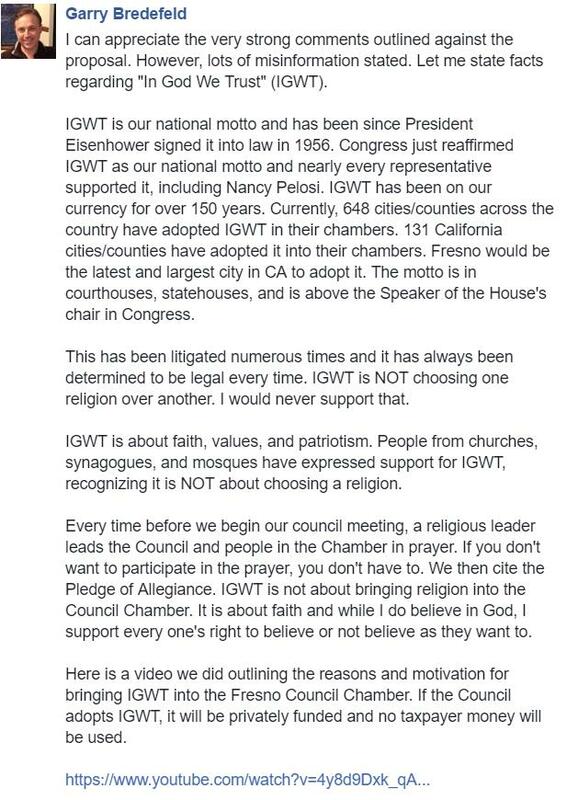 Recently, Fresno City Council member Garry Bredefeld (Fresno district 6) has proposed that the words, “In God we trust” (IGWT) be placed on the wall of the Fresno City Council chambers, behind the dais just under the words, “City of Fresno”. Fresno City Councilmember Garry Bredefeld wants “In God we trust” placed on the wall of the Fresno City Council chambers. CVAAS members believe that this motto is divisive, and would prefer to use the Great Seal of the United States, or “E Pluribus Unum” – our country’s original motto, found on the Great Seal. CVAAS is proposing to match private funding in order to install “E Pluribus Unum” on the wall of the Fresno Council Chambers. Discuss this on Facebook, or in our group. Read our Press Release – sent to all local news outlets. This is now on the Fresno City Council agenda for May 11th. In a recent response to a letter in the Fresno Bee, Mr. Bredefeld spoke about how IGWT is our national motto, signed into law by President Eisenhower in 1956. He states that Congress reaffirmed IGWT as our national motto. He tells us that this motto has been on our currency for over 150 years and writes that lots of municipalities in California have adopted it. He also tells us that this has been litigated “numerous times” and has always been determined to be legal, every time. He stresses that IGWT isn’t about choosing one religion over another, and he wouldn’t support that. 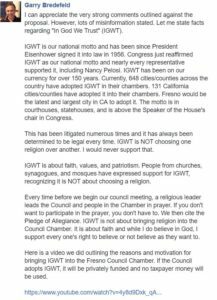 Bredefeld also states that “Every time before we begin our council meeting, a religious leader leads the Council and people in the Chamber in prayer.” And then he states that bringing IGWT into the Council Chamber is NOT about bringing religion into the Council Chamber. Bredefeld’s response in the Fresno Bee. Click to enlarge. There is so much to respond to here. There are several points that should be addressed. First, the obvious question is, “Why now?” Fresno’s newest city hall was completed in 1991. Why has Fresno waited for 26 years before deciding to add the national motto? What motivated Bredefeld to act now? Mr. Bredefeld has partially answered this question in his YouTube video when he stated that he was encouraged to make his proposal by Bakersfield City councilmember Jacquie Sullivan. But in that video, he leaves out the reason Ms. Sullivan suggested this. Ms. Sullivan suggested installing IGWT because she makes this same suggestion to cities across the United States. She does this endlessly as the founder and leader of her nonprofit organization, “In God We Trust – America”. According to her nonprofit’s latest financial statement to the IRS, she spends 70 hours a week advocating the installation of IGWT to cities and municipalities across the nation. 70 hours a week? Ms. Sullivan is a Bakersfield City Council member and has been re-elected to that position for 5 terms! But perhaps Bakersfield doesn’t require much attention from their city council members. This leads to another question, how many hours a week is Mr. Bredefeld spending on advocating the installation of IGWT? Is this interfering with his other duties? Another possible answer to “why now” might be due to Mr. Bredefeld’s relationship with the rest of the Fresno City Council. Bredefeld is the only sitting city councilmember who is on the hook for spearheading the approval of the Grizzlies downtown stadium. Initial projections for the stadium were optimistic, and the stadium is indeed beautiful. But financially it has been a very costly problem for the City of Fresno. It would be advantageous to Bredefeld to have his name associated with something more positive than this financial drain on Fresno. Next, let’s investigate the history of our national motto. Our nation’s first national motto appears on the Great Seal of the United States. 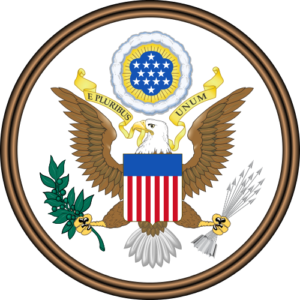 Adopted by Congress in 1789 and first used by George Washington, the Great Seal bears our nation’s first motto, “E Pluribus Unum.” Which means, “Out of many, one”. This is an inclusive motto that indicates the very diverse citizens of America have come together to form one nation. It leaves no one out. E Pluribus Unum has been required on all U.S. coins by law since 1873, it has been on dollar bills since 1935 and first appeared on coins in 1795. This motto was on money 60 years before IGWT was added to our money. Fear has driven America to add God to our money and to make it our national motto. Fear that any failure of our nation would be attributed to our insufficient devotion to God. In 1861, just after the outbreak of the American Civil War, the minister Reverend Watkinson of Pennsylvania wrote a letter to the Secretary of the Treasury begging that God should be added to coins. He did so because he was afraid that if America was divided by the civil war, history would judge that it was because our nation did not sufficiently recognize God. Secretary Chase agreed and started the process to get Congress to act. In 1956 the United States officially adopted “In God we trust” to be our official motto, mostly to distinguish ourselves from the Soviet Union and “godless” Communism. The “Red Scare” and McCarthyism drove a lot of fear of the Soviet Union at the beginning of the cold war. It was thought that use of this motto would somehow make our country stronger. In 1957 our newest motto first started appearing on paper currency. “In God we trust” has been adjudicated by lower courts and found to be lawful. But not because of God. The ruling from Aronow v. United States (9th Circuit Court of Appeals) stated that IGWT is not a First Amendment issue since it has nothing to do with the establishment of religion. “Its use is of patriotic or ceremonial character.” It “has no theological or ritualistic impact.” The Supreme Court upheld this ruling by declining to hear its appeal. The reason “In God we trust” is lawful in the United States, the reason its use is not an Establishment Clause issue, is because courts have ruled that it is only of a patriotic or ceremonial nature. It has no connection with any deity, God, or gods. As a patriotic statement, it is theologically meaningless. This leads to another question for Mr. Bredefeld. What does he mean when he advocates “In God we trust?” Is this merely a bit of secular, ceremonial patriotism, or does Mr. Bredefeld have a theologically meaningful reason for installing this statement in the Fresno City Hall? Because one is allowed by the courts, and the other is a violation of the First Amendment. Perhaps “In God we trust” is ceremonially and theologically equivalent to “E Pluribus Unum.” However, it certainly isn’t as patriotic as “E Pluribus Unum” since it leaves out a portion of the United States population. It leaves out some of Fresno’s citizens. Let’s speak about the demographics of the City of Fresno. According to the US Census, there are over 360 thousand adults in Fresno. 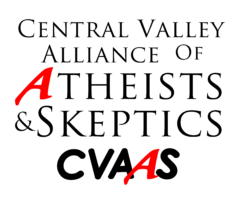 It is difficult to pin down the size of the secular population in the United States, but according to a 2014 study by the Pew Research Center, and according to a recent University of Kentucky study published in the journal Social Psychological and Personality Science, it is statistically reasonable to predict that there are between 11 thousand to 40 thousand atheists in Fresno. That number doubles if you count agnostics. Even supposing that Fresno is more conservative than the rest of the United States, and cutting those numbers in half, the results still easily outnumber the attendance of all United Methodist Churches in Fresno. Why would the Fresno City Council exclude such a large portion of Fresno’s population? Prayer is not a non-partisan invocation, and according to Mr. Bredefeld, the City Council does not invite non-religious leaders to speak. The intent is obviously exclusive. If you don’t like the prayer, as Mr. Bredefeld says you can exclude yourself. If you are non-religious, then the Fresno City Council is giving a clear indication that you are not as important as those who believe in a deity. How can an atheist, or someone of a minority religion, expect a guarantee of being treated fairly by the Fresno City Council? But it is not about all of Fresno’s citizens. Some are excluded. And Mr. Bredefeld’s words make a lie of the Court’s claim that this is a theologically meaningless statement. CVAAS is very much in favor of elected officials making good decisions. And if a constant reminder of the deity that they worship is required to make good decisions, we respectfully suggest that they place that reminder where they might view it constantly, perhaps on their desk in front of them. Not on the wall behind them – out of sight and mind. The Board of the Central Valley Alliance of Atheists and Skeptics would like to make a counter-offer. Mr. Bredefeld has stated in the Fresno Bee that this sign would be installed using private money, not public funding. CVAAS is prepared to match any funding provided by Ms. Sullivan’s “In God We Trust – America” nonprofit, up to the entire purchase price of the sign and its installation. The matching money that we offer would be used to install either the Great Seal of the United States or our first motto, “E Pluribus Unum” in the Fresno City Council chambers, on the wall behind the dais. To help us raise this funding, CVAAS has started a GoFundMe campaign. Visit our campaign and drop a few dollars into it to show your support! E Pluribus Unum is a patriotic statement that includes ALL the citizens of Fresno and excludes none of them. And by making this matching challenge, we also remove the financial difficulty of doing so. “In God we trust” is not quite as patriotic, since it is inherently divisive. We are very interested to see if Mr. Bredefeld and the rest of the City Council of Fresno cares about all of the citizens of Fresno, or is interested in excluding some of Fresno’s citizens. 10TH HERETIC’S BARBECUE COMING TO CLOVIS CALIFORNIA! 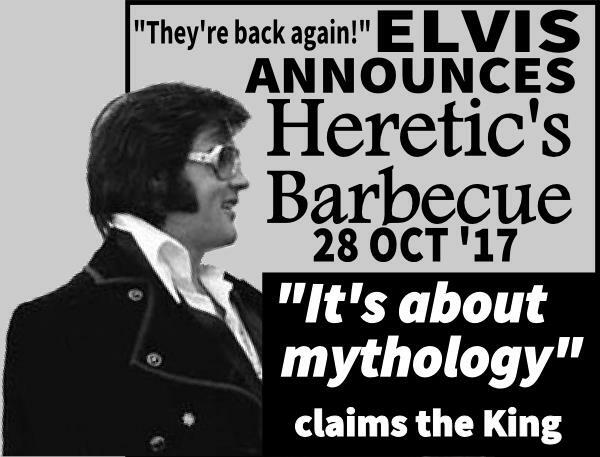 The Central Valley Alliance of Atheists and Skeptics has announced it’s 10th Annual Heretic’s Barbecue! All Heretic’s Barbecues have a theme, and for this year the theme is, “Mythology“. And there is no better place to find modern myths than in the pages of supermarket tabloids! In a very surprising interview, the King himself has shown up to give us the details! “There’ll be Tri-tip for sure. Slow smoked, Kentucky style. Sliced thin and tasty. There will also be chicken, grilled over a wood fire. Sides? I know they’ll have potato salad and coleslaw. And barbecue beans too. It’s all catered by Maw ‘n Paw Barbecue, right out of Clovis. They’ve got some of the best barbecue I’ve ever had! “Tickets? 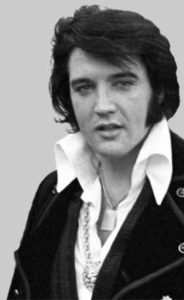 Yea, sure.” Elvis gestured with a french fry in his hand as he explained. We asked about other groups who want to host a table at this event. People often ask, “Why make that up about Jesus?” Modern fake news provides a model that explains exactly that. 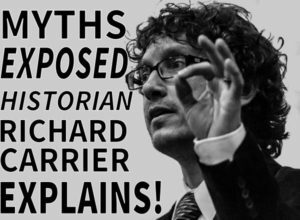 Richard Carrier will discuss the structure of propaganda in mythmaking about Jesus, and its similarities with the current fake news epidemic. Dr. Carrier has a Ph.D. in ancient history from Columbia University and is a published philosopher and historian, specializing in contemporary philosophy of naturalism, and in Greco-Roman philosophy, science, and religion, and the origins of Christianity. He blogs regularly, lectures for community groups worldwide, and teaches courses online. 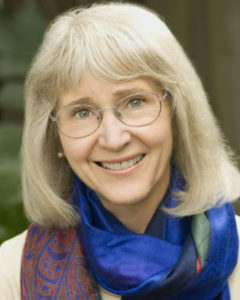 Dr. Carrier is the author of many books including Sense and Goodness without God, On the Historicity of Jesus, and Proving History, as well as chapters in several anthologies and articles in academic journals. For more about Dr. Carrier and his work see his website: www.richardcarrier.info. Aron Ra is one of the “YouTube atheists” and an advocate for rationalism in science classrooms. He grew up in an exclusively creationist environment where he felt like a lonely outcast just for understanding evolution, let alone accepting it. Being raised in a mostly-Mormon family encouraged him to explore other denominations and eventually non-Abrahamic spiritualism before rejecting faith-based beliefs altogether. He was drawn into activism when the Religious Right dominated his state’s Board of Education and began undermining education in history, health, science, and social studies. Aron authored “Foundational Falsehoods of Creationism“. 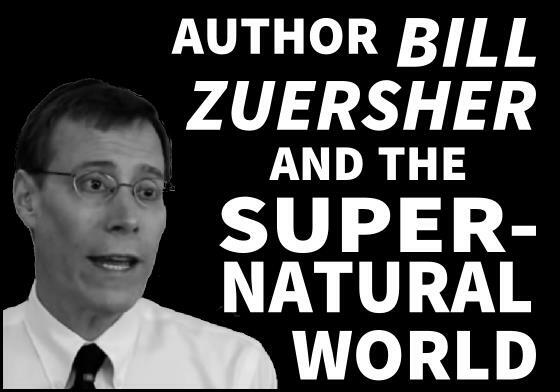 His videos often focus on evolution and the evidence indicating an interrelated tree of life. His series summarizing the ‘Foundational Falsehoods of Creationism‘ and his subsequent series, ‘Falsifying Phylogeny‘ (including the ‘Phylogeny Challenge‘) have been mirrored, featured, referenced, and recommended by many professional scientists, secularists, and educators, and has attracted more than 140,000 subscribers to his YouTube channel at youtube.com/user/AronRa. 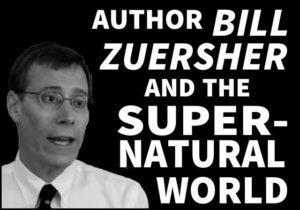 Bill Zuersher is an activist for the separation of church and state. He studied economics and government at Yale and then worked for two decades in the energy industry before dedicating himself to teaching and writing. He authored the book “Seeing Through Christianity“. Bassist, instructor, and producer Joey Fabian created a cover of “It Ain’t Necessarily So” for the CVAAS Podcast. Fabian began his music career in Atlanta playing and recording with several prominent bands, including members of the Atlanta Rhythm Section, Sea Level, and the Glenn Phillips Bands. Since arriving in the Bay Area in 1991, he has performed almost every conceivable genre of music from Soukous to Samba-Reggae, Blues to Bluegrass. He is best known in the Bay Area for a slew of projects with guitarist Chris Rossbach and a 13-year association with fusion band The Bartron Tyler Group. Currently, Joey plays bass with BMA nominated singer Paula Harris & the Beasts of Blues, rock outfit “Winterland” and has launched a solo career as an interpreter (and fledgling composer) of science and skeptical songs via “The Skeptic’s Jukebox”. He has taught bass and guitar since 1994 at Gryphon Stringed Instruments in Palo Alto. Joey runs a production studio called The Tomato Farm in Palo Alto. 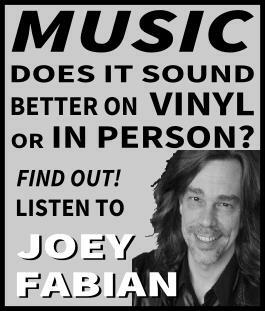 You can find Fabian at The Skeptic’s Jukebox or at his website joeyfabian.com. 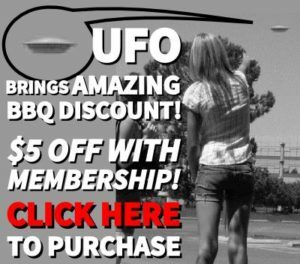 UFO ARRIVAL BRINGS SPECIAL DEAL! In addition to exposing the president’s secret as a shape-shifting reptilian humanoid, The Weekly Inquiries has broken through a massive government cover-up that has tried to hide the existence of aliens and their UFOs visiting the Earth! To celebrate this monumental discovery, The Weekly Inquiries has opened a classified vault that exposed a secret method to become a member of CVAAS AND get a ticket to the Heretic’s Barbecue for LESS than the cost of buying both separately! If you CLICK HERE you too can purchase a CVAAS Membership and you will get a FREE COUPON that will allow you to purchase a ticket to the Heretic’s Barbecue for only $14.00! A savings of $5.00! Hey, this is Elvis. I got a couple of things I gotta say. After faking my own death and starting over again in Kalamazoo, I’ve done my best to live a quiet and respectful life. If you do that for me, I’d like to shake your hand. Don’t tell anyone, but I’ll be at the Heretic’s Barbecue too. Just stroll up and we can take a picture together! I hear the Enquirer is paying a lot for those, so it might be worth something to ya!